FRANKFURT -- Sales from Toyota Motor Corp.'s Europe division rose by 4.6 percent in the first half of the year to 425,639 deliveries, the company said in a statement Monday. The figures come four months after the massive earthquake and tsunami that struck Japan March 11, causing major delivery and supply problems for the automaker. "The upward sales trend we see this year demonstrates the strength of our product lineup, especially with our hybrids. It also shows the fighting spirit of everyone at Toyota, both in Europe and worldwide, and the great relationship we have with all our suppliers who worked hard, together with us, to minimize supply concerns from the March earthquake," Toyota Motor Europe CEO Didier Leroy said in the statement. Leroy added: "We are now speeding up delivery to meet customer orders and, at a minimum, to reclaim our planned volumes through the rest of the year. We are confident of increasing our sales volume on a yearly basis." 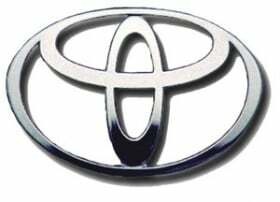 Through six months, the Toyota-brand's sales in Europe, including Russia and Turkey, rose 3 percent to 403,656 vehicles. Sales at luxury brand Lexus rose 42 percent in Europe to 21,983 cars and SUVs compared with the first half of 2010. In total, Toyota and Lexus sold 46,121 hybrid cars in Europe, a gain of 31 percent in year-on-year figures and 11 percent of total Europe sales. The Japanese automaker plans to market 10 hybrid cars by 2013. According to Toyota, output in Europe resumed full capacity at the beginning of June and has almost reached full levels again in Japan. In response to the backlog of orders caused by the disruption to output and supply lines, the automaker plans to ship an extra 5,000 vehicles to Europe in July, adding that European customers can now expect normal delivery times of two to three months for their cars.